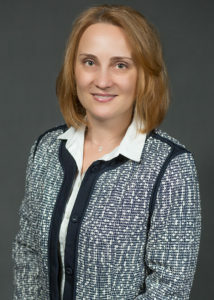 Meet Camelia Nikolow, Accounting Manager here at WestCMR. Camelia manages and oversees the daily operations of the accounting department and assists the company’s VP/COO as needed. Camelia has just surpassed her 1 year mark at WestCMR. Her career began in the accounting department as Senior Accountant, and she was recently promoted to the Accounting Manager position. Camelia has a 14 year-old cat named Harley that she adopted in Colorado. She has lived in 4 different states prior to settling in Florida. Camelia loves New England and has traveled often to the region. Here’s What Camelia Has to Say About . . .
Philanthropy makes a difference in people’s lives. It is important to learn from the best. Before you started working at WestCMR, what did you think happened to surgical supplies sitting in hospital stock rooms if they were never used? Even with hospital experience and after performing surgical supply audits within hospitals, I really believed the surgical supplies got destroyed once they are considered obsolete (by healthcare standards or requirements). Healthcare is a complex system and changes are constant. Technology changes at a rapid rate from 2D to 3D mammography to telemedicine and remote video consultations. The ways that healthcare is provided are changing. WestCMR needs to stay informed with respect to current trends, in order to stay competitive.